Israeli Prime Minister Benjamin Netanyahu (left) visits U.S. President Donald Trump in the Oval Office of the White House on March 25 after Trump signed an order recognizing Golan Heights as Israeli territory. United States President Donald Trump on Monday followed up on last Wednesday’s tweet by officially endorsing Israeli sovereignty over the Golan Heights. The unilateral declaration breaks with decades of American precedent, which sought to preserve the status quo, whereby the territory that Israel won from Syria in the 1967 Six-Day War was currently occupied by Israel, pending a final settlement to be agreed upon by the two nations. Thus, after 52 years of Israeli control of the strategic strip of land overlooking the Sea of Galilee, and almost 40 years since Israel’s de facto annexation of the land, it’s time to acknowledge the reality: The Golan Heights is part of Israel. On Monday, in the presence of Israeli Prime Minister Benjamin Netanyahu, Mr. Trump signed the declaration that, at least according to the United States and Israel, puts to rest Syria’s claim on the land. The State of Israel took control of the Golan Heights in 1967 to safeguard its security from external threats. Today, aggressive acts by Iran and terrorist groups, including Hezbollah, in southern Syria continue to make the Golan Heights a potential launching ground for attacks on Israel. Any possible future peace agreement in the region must account for Israel’s need to protect itself from Syria and other regional threats. Based on these unique circumstances, it is therefore appropriate to recognize Israeli sovereignty over the Golan Heights. 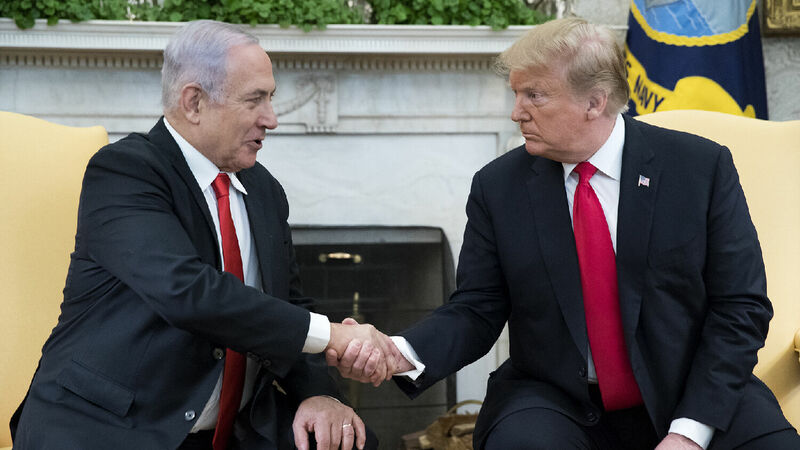 The signing of the declaration followed a joint statement from Mr. Netanyahu and Mr. Trump, in which the Israeli leader looked justifiably proud, rightfully recognizing the moment as historic. The decision comes after two years of intensive efforts by the prime minister to persuade this administration to finally make the move. As brought out in the declaration itself, Iran has successfully leveraged its support for Syrian President Bashar Assad’s regime in the Syrian civil war in order to place its own proxy forces on the Syrian side of the Golan Heights. As recently as two weeks ago, Israel published a video of a Hezbollah outpost just over the border from Israeli territory. This revelation, as well as the fact that tens of thousands of Iranian-backed Shiite militias are right now roaming about in Syria, proved to Israel and the American president that any future peace agreement with Syria must include Israeli sovereignty over the Golan Heights as a starting point, not part of the final solution. Acknowledging this new reality on the ground, President Trump has indeed broken with precedent, drawing international criticism for the decision. Russia condemned it; Europe rebuked it. As for the Iranians, well, they don’t like the U.S. putting such impediments in the way of their goal of driving Israel into the sea. But one place you will not hear any criticism for the decision is from Israel itself. On Monday, I joined a media tour to the Golan Heights to speak to Druze and Jewish leaders about Mr. Trump’s decision. Obviously, Jews on the Golan support the move. Many have risked their lives and livelihoods by investing in the development of the Golan, even while Israel’s leaders were negotiating to give it away. Now that the most powerful nation on Earth has backed their future, many see the decision as a beginning of a new day of population growth and investment for the Golan Heights. The Mayor of Kaztrin, Dmitry Apartzev, told us that his family didn’t arrive on the Golan “to go for a picnic.” He continued, “Since 1981, Israel had recognized [the Golan] within itself,” referring to when Israel decided to apply Israeli law and not military rule to the territory—a de facto annexation. Now he believes that “the status will not change for 100–150 years at least.” Katzrin was established in 1977, and now boasts around 8,500 people, making it the largest of the 33 Jewish villages. A majority of the Druze are also pleased with the decision, although they might not admit it so vocally. The Druze have lived on the Golan for over a thousand years, long before Syria and Israel were states. As we learned on Monday, Druze are notoriously loyal to their original state. Given that the Six-Day War created a new border right where they live, families have been divided, some in Syria and some in Israel. As time goes on, however, there is a growing Druze attraction toward Israel, especially as the older generation with personal memories of Syrian rule dies out. To some, like Safadi Saade, a lawyer and resident of Majdal Shams (the largest Druze village), Trump’s decision will give the Druze “strength” to support Israel more openly. 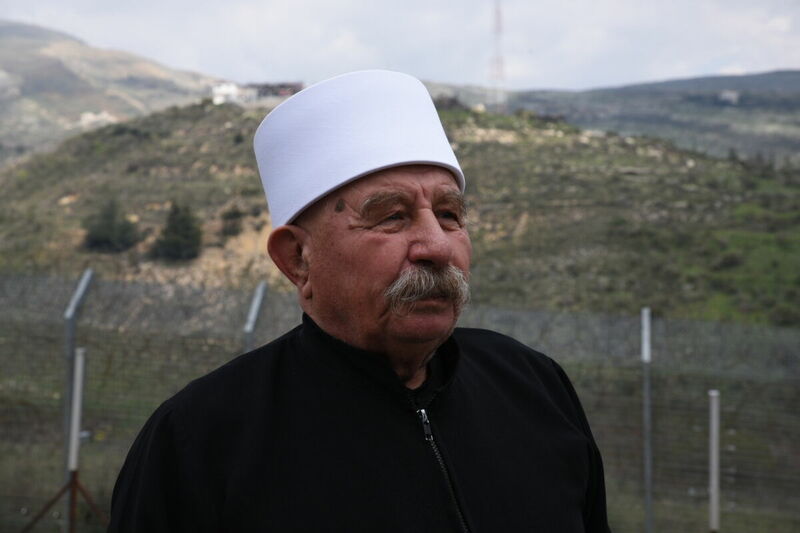 “The Druze population feels like they are mostly just surviving for thousands of years. And because of the uncertainty … they don’t want to publicly say, ‘Yes, they are for Israel,’ unless they know 100 percent that Israel will stay here and rule the land.” It’s believed that many Druze will gain the courage to declare their allegiance to Israel as Israeli sovereignty strengthens. With Israel’s elections less than two weeks away, it is the season for politicians to publicly air their policies. However, there isn’t one politician hoping to do well in the elections who is bold enough to voice any disapproval for Mr. Trump’s decision. More than ever, Israelis understand the strategic danger of withdrawing from critical land. The almost weekly missile attacks from the Gaza Strip are a constant reminder of the need for Israel to control such territories that could be overrun by Iranian proxies. But even if the Iranians weren’t entrenched in the Golan Heights, Syrian control alone would pose a threat. Syria controlled the Golan Heights from its independence in 1946 until it decided to launch an offensive war against Israel in 1967. Syria used the elevated territory for repeated attacks on Israelis. Syrian snipers would take out farmers in the kibbutzim (communal farms) below. Syrian artillery would often fire upon the Jews, making midnight runs to bomb shelters a frequent occurrence for the civilians, somewhat akin to what is taking place on the Gaza border today. Then, in the 1973 Yom Kippur War, it was only the fact that Israel controlled the Golan Heights that gave Israel the time it needed to mobilize its forces to again confront the invading Syrian tank battalions. Mr. Netanyahu, and any other prime minister-hopeful, wouldn’t dare undermine Israel’s security position by giving away the Golan. And now it seems that an American president finally understands Israel’s position. With President Trump’s decision to acknowledge Jerusalem as the capital of the Jewish state, symbolized by the subsequent moving of the American Embassy, it seems there is finally a clear-eyed U.S. president who sees things as they are in Israel, rather than how international bodies, such as the United Nations, determine they should be. For that reason, Trump’s approval among Israelis, which started at 30 percent when he took office, now hovers around a whopping 70 percent. Part of the Deal of the Century? However, in this moment of ecstasy for the Jewish state, there is cause for some caution and even concern. Could it be that Trump’s recognition of Israeli sovereignty over the Golan Heights, as well as the move of the embassy to Jerusalem, are all parts of his strategy to push upon Israel a peace deal with the Palestinians? You can bet that President Trump is keeping track of his gifts to Israel. You can also bet that he will expect something in return, and he has said as much. As Daniel Pipes has repeatedly noted, President Trump’s gifts to Israel come with the caveat that something is expected in return. Based on this idea, the additional gift of the Golan Heights is only increasing the price that Mr. Trump will expect Israel to pay. It’s obvious that Mr. Trump does have a sincere concern for the well-being of the Jewish state. His willingness to follow through on promises made to Israel shows his favor to the Jewish state unmatched by previous American presidents. But Mr. Trump is also a dealmaker. Given his boast at the start of his presidency that he would be able to pull off the “deal of the century,” as he calls it, could it be that Mr. Trump will soon ask Israel to compromise on something equally historic? Perhaps even asking Israel to give up something related to Jerusalem? And if he does, will it result in the breakup of the American-Israeli relationship? Given that the Trump administration says that the details of the elusive peace deal will be made public in the coming weeks, we won’t have long to wait. Based on a Bible prophecy in Zechariah 11, we have forecast such a split between Israel and the United States. Mr. Trump’s desire for a deal could bring about that prophesied break. This rift will cause Israel to look to another protector. Israel has many enemies in the Middle East. Iran, its most hostile enemy, is close to acquiring nuclear weapons, putting Israel in a dangerous situation. The Bible prophesies that Israel will seek help from a different nation, not from its historical friends of America and Britain. This will lead to even bigger earthshaking events. To understand more of these prophecies related to Israel, please request our free booklet Jerusalem in Prophecy.